Okay, so you may have seen my earlier FB post from today about the unfortunate incident at HEB this afternoon. In case you didn’t, let me get you up to speed. So after leaving the grocery store, baby and full cart in tow, a bird flew over my head and had some serious “reah” on my head so much so that in addition to caking up my hair, it actually SPLATTERED all over the rest of me…and literally at the EXACT same moment, Landri had a poopy blowout. I know, you can’t make this stuff up. Seriously. The odds of this happening have literally got to be like 100 billion to 1. Anyhow, so Scott just got home from work and we were comparing stories from the day. He was at Texas State for practice and a clinic tonight and we just had an argument about which is worse: a bat dive bombing your head (Scott’s “unfortunate” incident) or a bird and a baby $hitting on you at the same time. Who had a crappier day (LOL)? 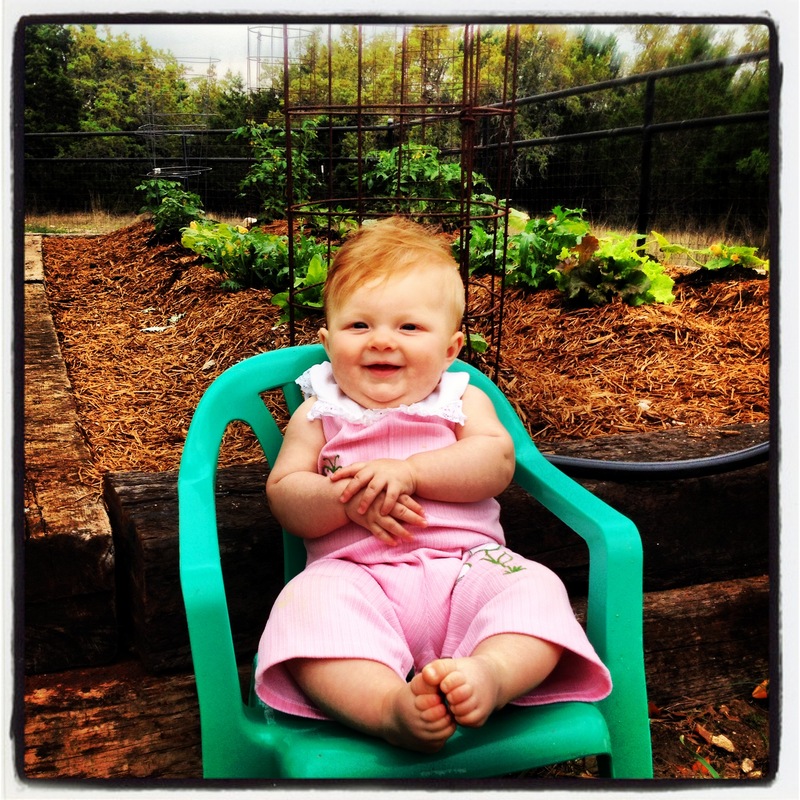 And just because, here’s a cute picture of Landri with her Daddy’s garden before the “rain” rolled in! Previous Post Another (mini) Photo Shoot!